I was pleased to be at the launch of Parramasala 2018 by the Minister of Multiculturalism, the Honorable Ray Williams, at Parramatta River Foreshore, today. The program for Parramasala (9-11 March 2018) was announced. It was attended by Dr Harry Harinath, Chair of Multicultural NSW, Dr Geoff Lee, Local State MP and Mr Andrew Wilson, Lord Mayor of City of Parramatta Council. A big contingent of media was present too. A glimpse of cultural performances was presented. I was very pleased to know that the NSW Government has committed an additional $600,000 over three years to one of the State’s largest multicultural arts and cultural festivals, Parramasala. Now in its eighth year, Parramasala celebrates the cultural diversity of NSW through music, dance, theatre, food and film, representing more than 40 nationalities with the theme of “Many Cultures. One Sydney”. “The NSW Government is committed to supporting the evolving arts and cultural scene of Greater Western Sydney,” he said. The 2018 program features some of the best in international and domestic acts, including free concerts by Grammy-nominated group Hiatus Kaiyote and Grammy Award-winning Saharan band, Tinariwen. Crowds will also enjoy the opening night multicultural parade, interactive drumming and dancing workshops and the delicious Masala markets. 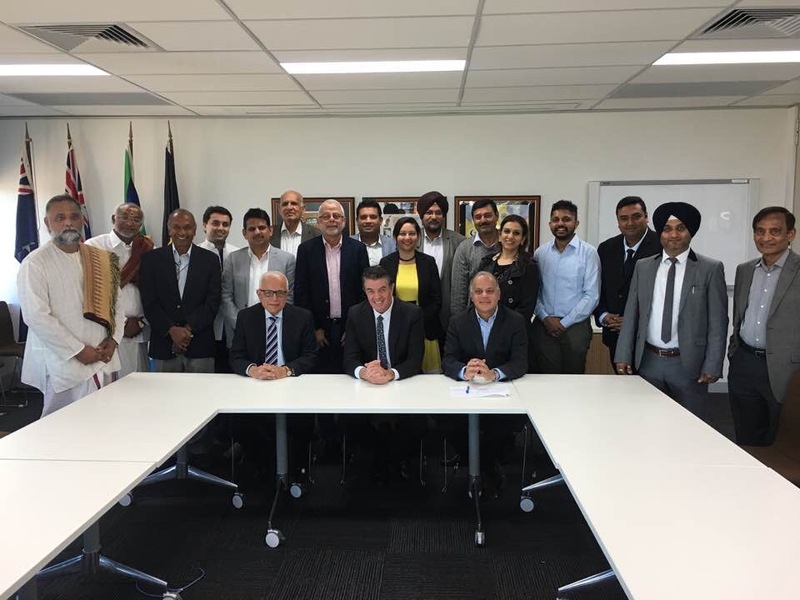 As a partner in Parramasala, City of Parramatta Council welcomed the State Government’s extra funding for what has become the signature event on the Multicultural March calendar. “We are proud supporters of Parramasala. Western Sydney is home to a lively assortment of cultures and the City of Parramatta is pleased to lead the way in showcasing the very best our region has to offer,” Parramatta Lord Mayor Cr Andrew Wilson said. Parramasala Chairperson Dr GK Harinath OAM encouraged every member of the community interested in arts, music, food and culture to attend the festival this year. “With a mixture of free and ticketed high-quality events, there is something for everyone at any age this year,” Dr Harinath OAM said.